The year was 1902. A new century was dawning as a motherless young girl arrived at a ballet school in St. Petersburg, Russia, at the age of seven. By age seventeen, Danina Petroskova had become a great ballerina, a favorite of the Czar and Czarina, who welcomed her into the heart of the Imperial family. But events both near and far away shook the ground upon which she danced. A war, an extraordinary man, and a devastating illness altered the course of her life. And when revolution shattered Russia, Danina Petroskova was forced to make a heartbreaking choice–as the world around her was about to change forever. Granny Dan is about the magic of history. 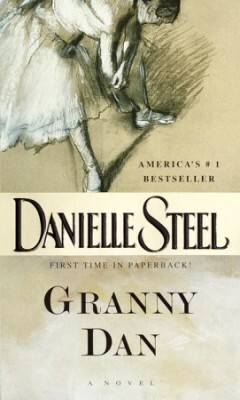 In it, Danielle Steel reminds us how little we know of those who came before us–and how, if we could only glimpse into their early lives, and see who they once were, there is so much we would understand and learn. For in this extraordinary novel, a simple box, filled with mementos from a grandmother, offers the greatest legacy of all: an unexpected gift of a life transformed, a long-forgotten history of youth and beauty, love and dreams.